In today’s world of social media and digital arts, it’s easy to find the latest “tutorial” for everything from Grandma’s biscuits to flooring installation. In some cases, do-it-yourself projects are easy and fulfilling. However, when it comes to your flooring, we urge you to second guess the option. There are many things that can go wrong and after all the research and shopping, you deserve a final product that is everything it should be. Avalon WoodFloors has worked extensively with designers and contractors over our 60-year presence in the flooring industry. This gives us great insight into the installations we perform. At the same time, we work hard to make sure your aspirations in design, as well as your budget limits, are placed at the top of our list of importance. In addition to already serving the areas of Santa Ana, Irvine, Newport Beach, Corona de Mar, and Fountain Valley, we’d love to assist you with your flooring as well. Please visit us at our Santa Ana, CA showroom at your convenience and we’ll be happy to answer any questions you have. One of the most important flooring installations is that of solid hardwood. Since the material is prone to expanding, contracting, and reacting to moisture and humidity, an experienced installer should be in charge of the installation. In addition to experience, many different specialty tools are necessary to get the job done right. Carpet installation is much the same as hardwood, in that experience is a key element in a successful task. Without an experienced crew and the necessary tools, you could experience atrocities such as bunched or balding carpet, seams that come apart, or premature wear in spaces that are heavily traveled. Other flooring materials such as laminate and luxury vinyl are much easier to install, but there are other things to think about, with regard to a professional install. Some manufacturers are no longer honoring warranties for installs carried out by homeowners themselves. 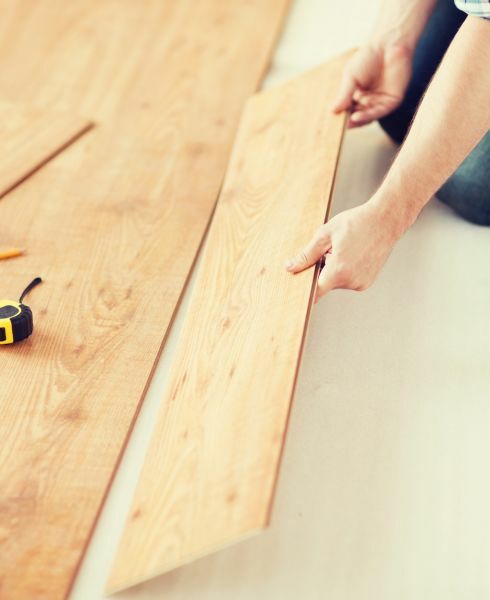 That means if something happens a few months after installing your floor covering, by no fault of your own, the warranty will not be honored because of the way the flooring was installed. In this case, better safe than sorry is an important term to remember. Be sure to ask your flooring specialist about facts that will be pertinent to your own specific flooring installation.